Nintendo has announced that they'll be launching their newest platform, the NX, in March of next year. While reporting their latest financials yesterday, Nintendo revealed that the oft-discussed NX platform will be released in March of 2017. "For our dedicated video game platform business, Nintendo is currently developing a gaming platform codenamed 'NX' with a brand-new concept. NX will be launched in March 2017 globally," the company said. There have been a number of rumors around the NX, from images of the supposed controller to claims that a new Smash Bros. will be a launch title. One of the most persistent rumors, that the NX would feature a "mobile unit that could either be used in conjunction with the console or taken on the road for separate use," may be closer to reality than we thought. In the same investor call, Nintendo referred to the NX as "a brand new concept," and said, "For the purpose of maximizing the population that interacts with Nintendo IP, we have entered into the smart device gaming business." That would certainly seem to support the rumored "mobile unit." Finally, they announced that the new Legend of Zelda title had been pushed back to 2017, when it will launch simultaneously on NX and Wii U. It will also be the focus of their E3 this year, as Nintendo UK tweeted. 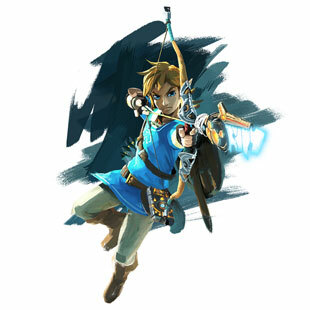 It's nice to finally have a little clarity on Nintendo's plans, and it's good news for Wii U owners that even though the new Zelda is a launch title, they'll still be able to play it on the machine they already own.